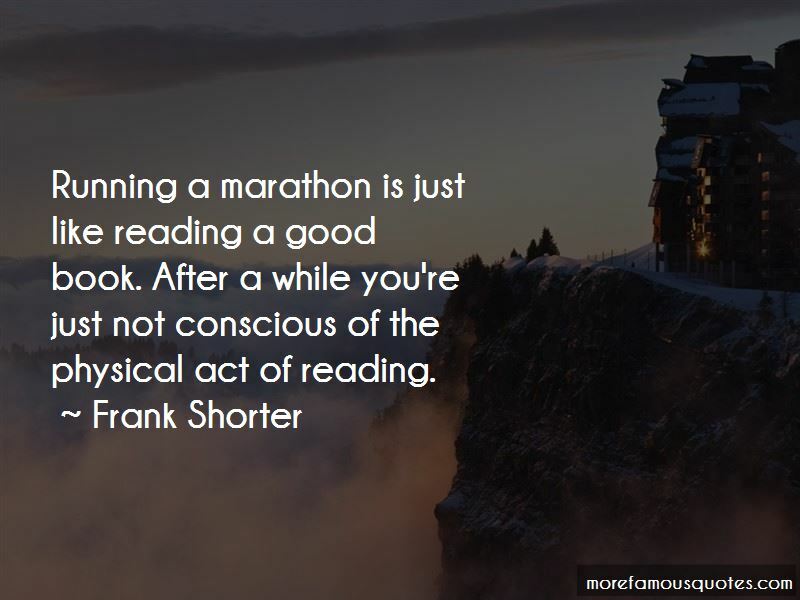 Enjoy the top 50 famous quotes, sayings and quotations by Frank Shorter. 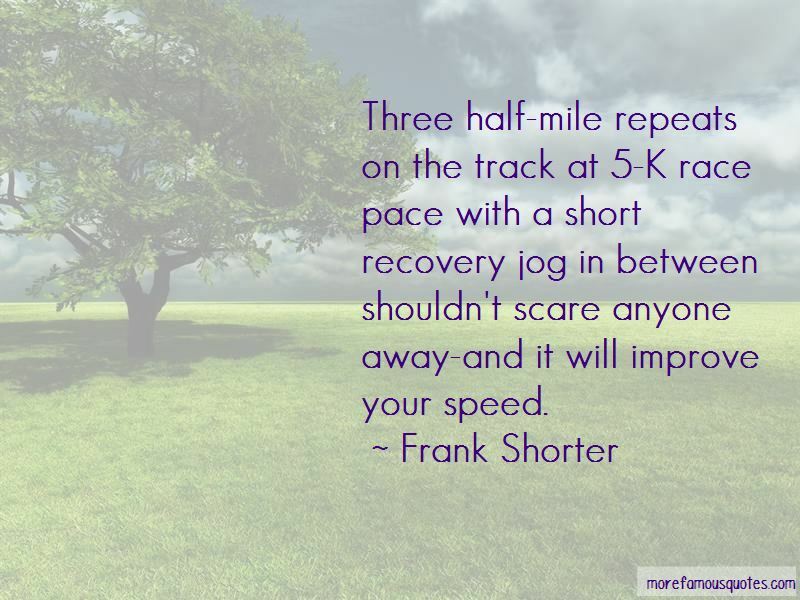 Three half-mile repeats on the track at 5-K race pace with a short recovery jog in between shouldn't scare anyone away-and it will improve your speed. Numbers don't lie. You always seem to remember your workouts as being a little better than they were. It's good to go back and review what you do. 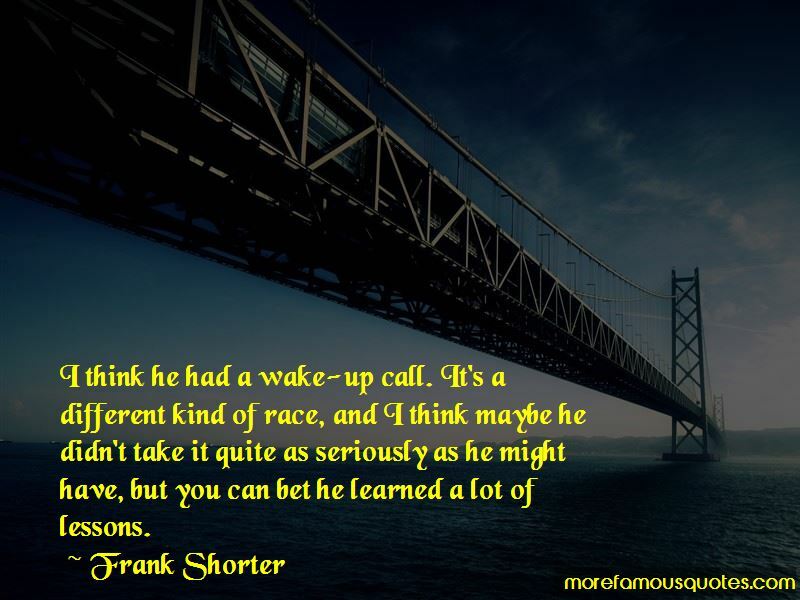 Want to see more pictures of Frank Shorter quotes? 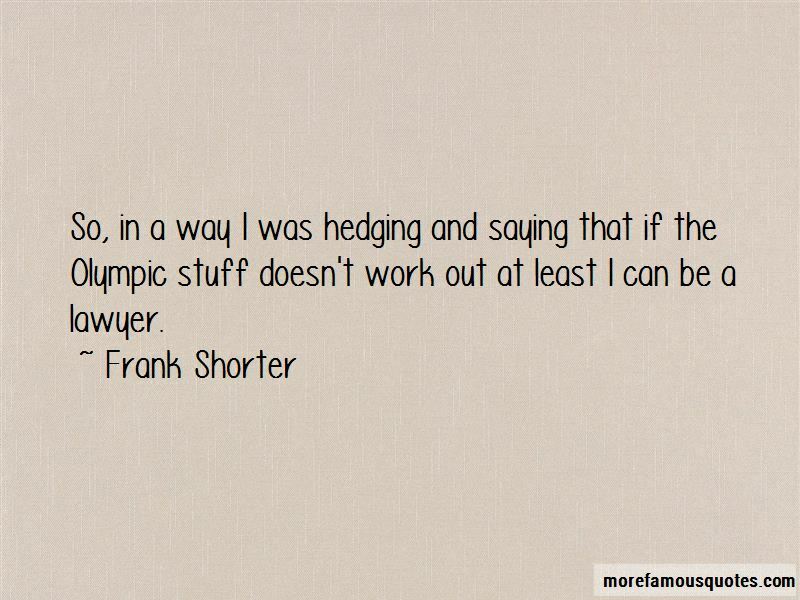 Click on image of Frank Shorter quotes to view full size.